In Penang, aimless wanderings can lead travelers from Chinese shops to Little India districts; restaurants housed in colonial-era mansions to iconic street food stands; a street that draws Penang’s four major religions to a street that features its most popular street arts. But wait, there’s more. 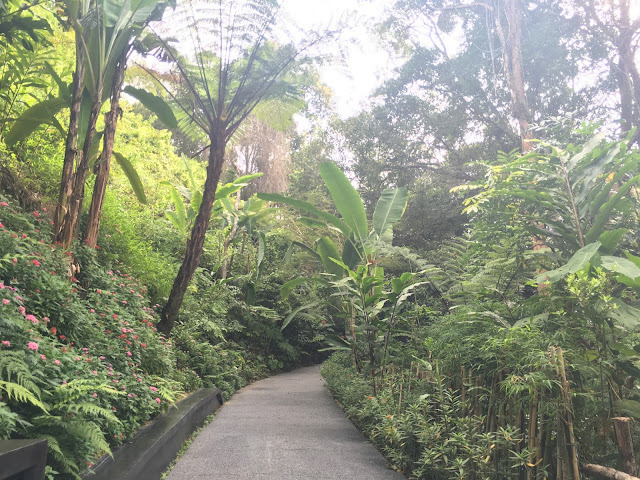 Skirting this vibrant city is a landscape of beaches and forests. 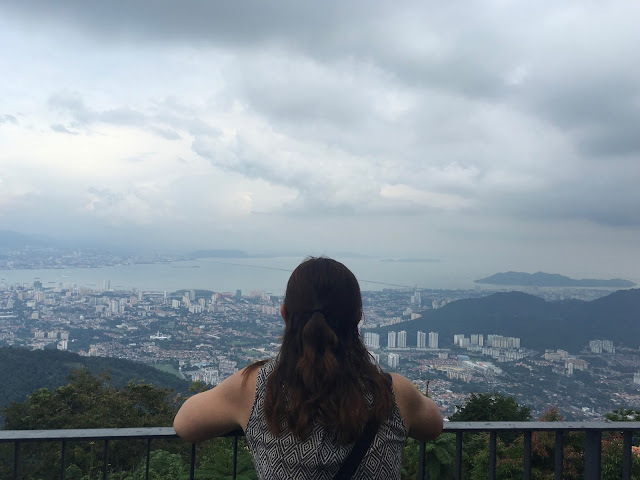 This multitude of experiences sums up my recent Penang escapade, made possible by Philippines AirAsia and Penang Tourism. 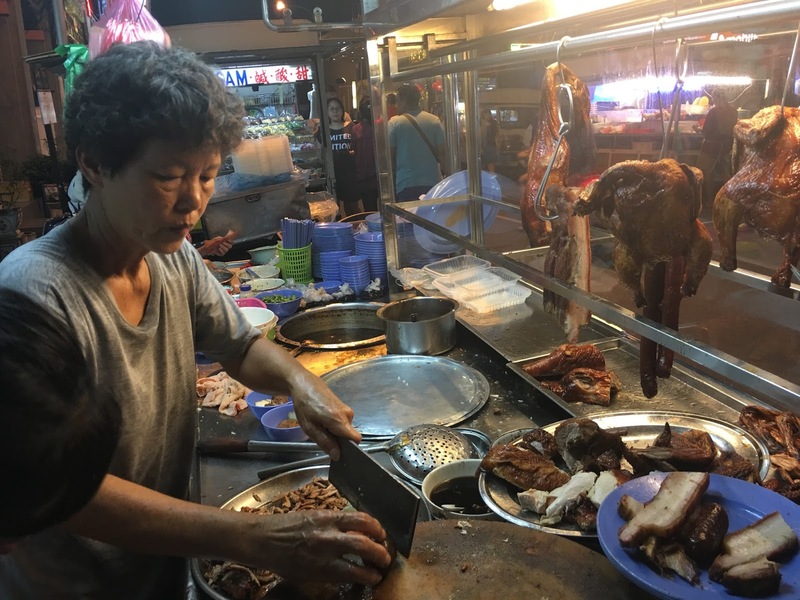 Our trip was mainly a food tour of Penang, which is known as the food capital of Malaysia. In 2004, Time Magazine recognized it for having the best street food in Asia. 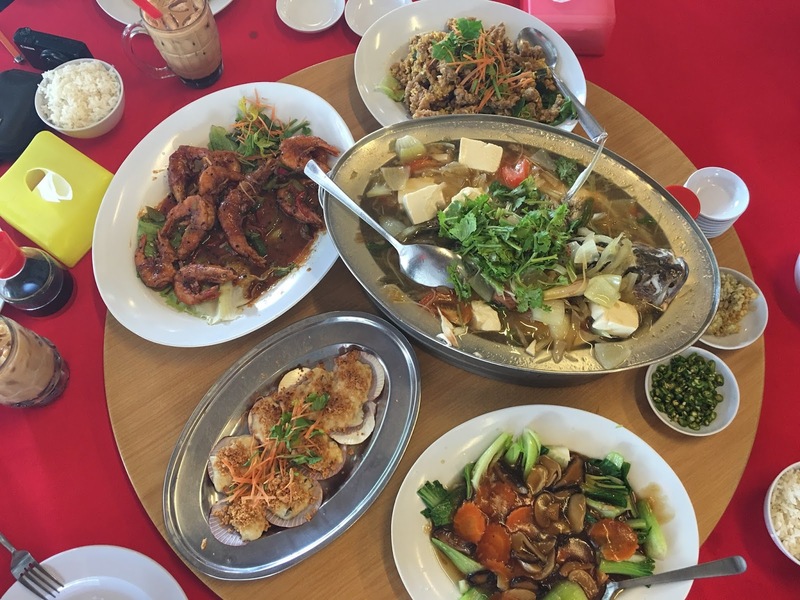 On our four-day escapade, we got to sample Chinese, Nyoya, Indian and some of its popular hawker food. Our Chinese seafood feast was courtesy of Taitong Seafood. 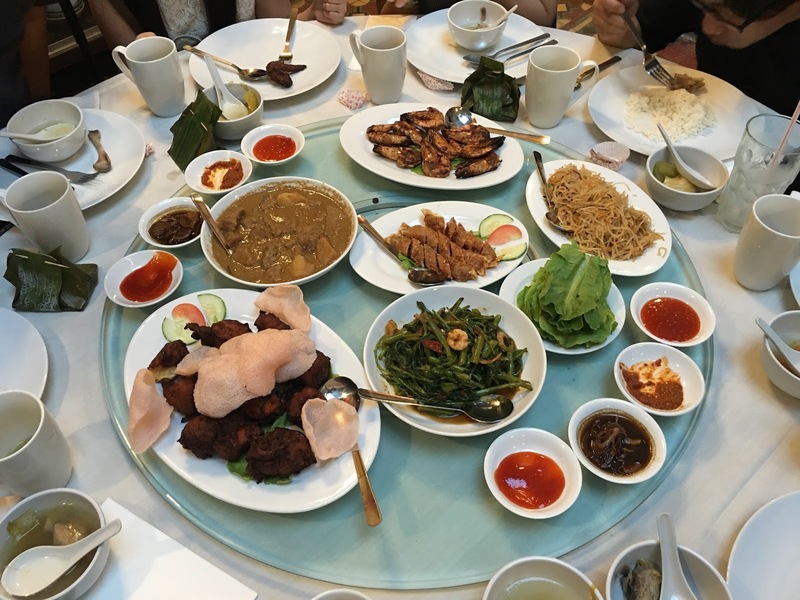 This restaurant raised the bar on our Penang Food Trip. 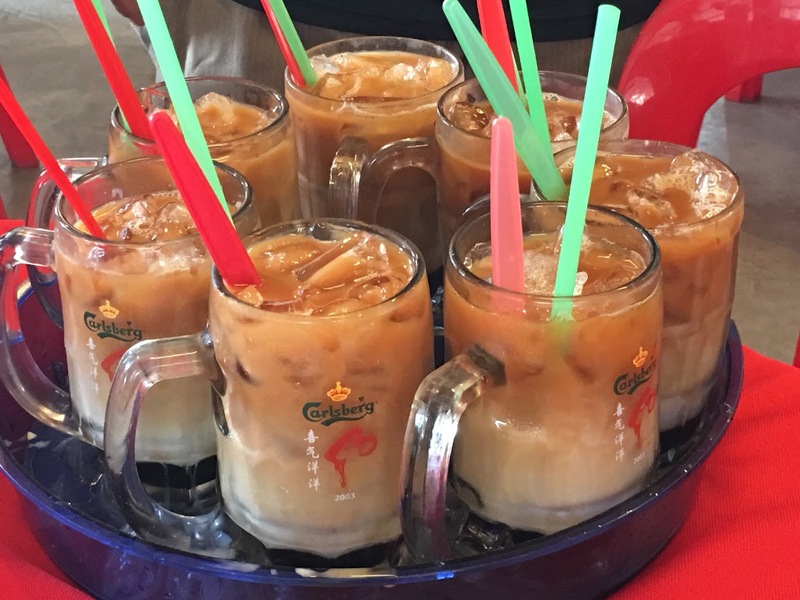 Their three-layer tea is the best and their mantis prawn with salted egg is a must-try. 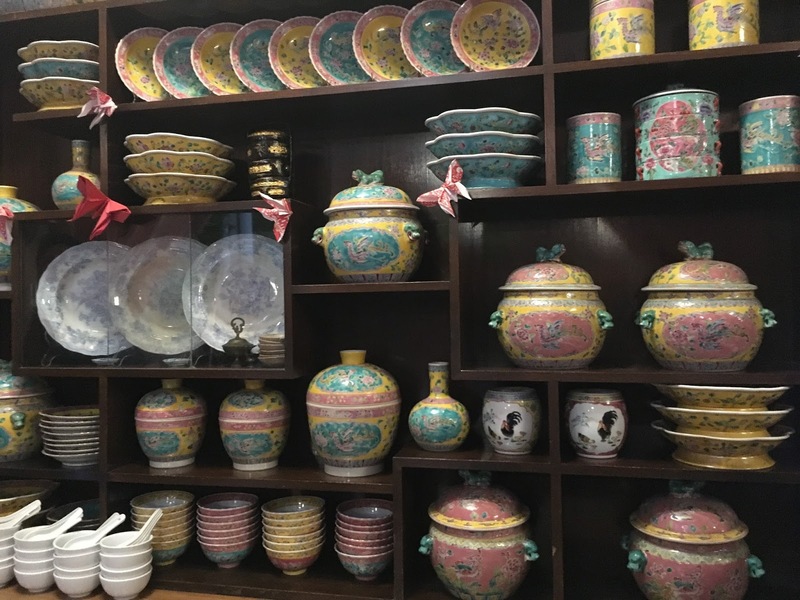 Our Nyoya sampling, which is a combination of Chinese, Malay and other regional influences, at Perut Rumah Nyonya Cuisine was equally delightful. I have to say that Perut Rumah Nyonya Cuisine’s interior is also quite impressive. 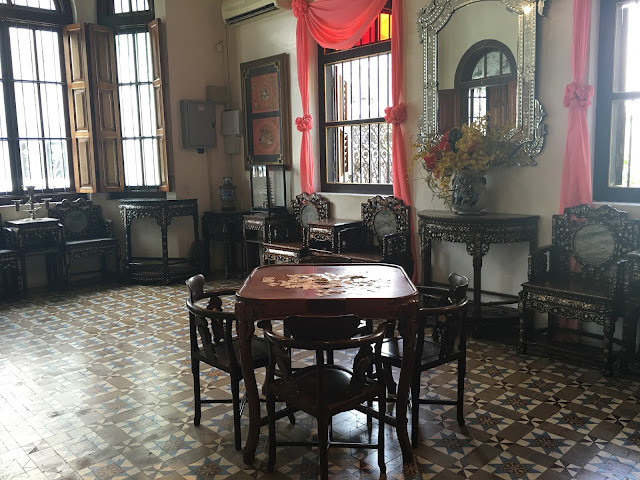 It has a cupboard of Nyonya antiques; floor tiles from the olden days; and a charming foyer. Our Indian lunch was at Gem’s Restaurant and it was, undoubtedly, the best on our entire gastronomic adventure in Penang. 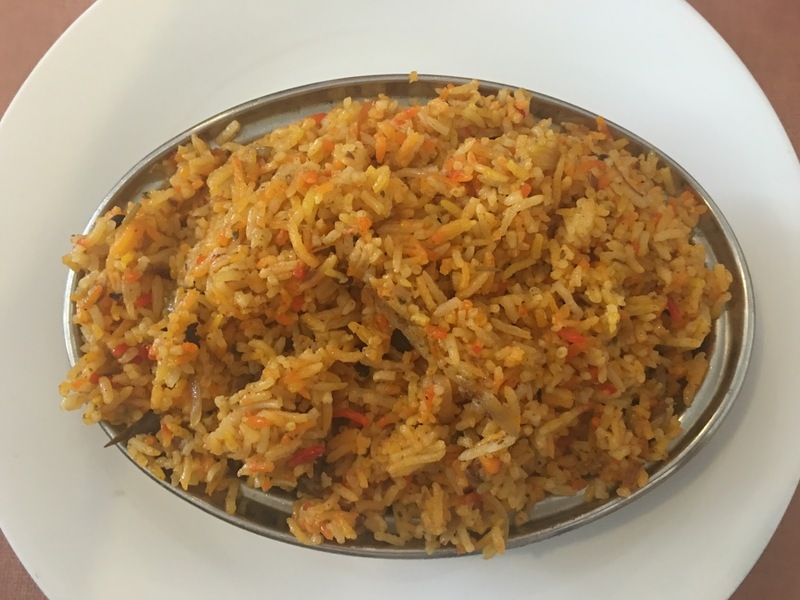 It was so good I kept craving for rice and curry even days after. Our home in Penang, Sunway Hotel, didn’t only serve superb breakfast and cocktails (Hooray for free beers! 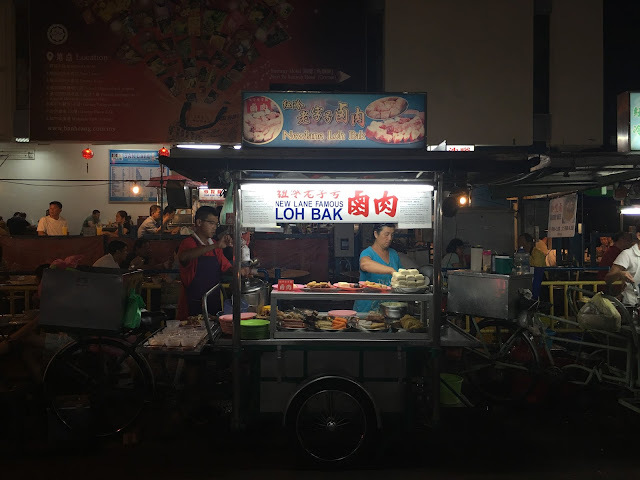 ), it also sits right smack in the middle of where the best Penang street food are. 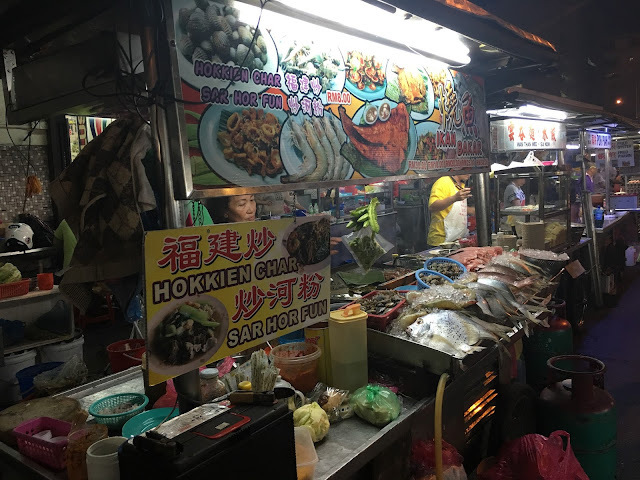 That is New Lane Hawker Centre. We tried the chicken wings, char kwey tow, satay sticks and oyster egg and none dissappointed. It was actually the perfect way to celebrate our last night in Penang. We also spent a full-day exploring the outskirts of Penang and experiencing up-close its natural wonders. 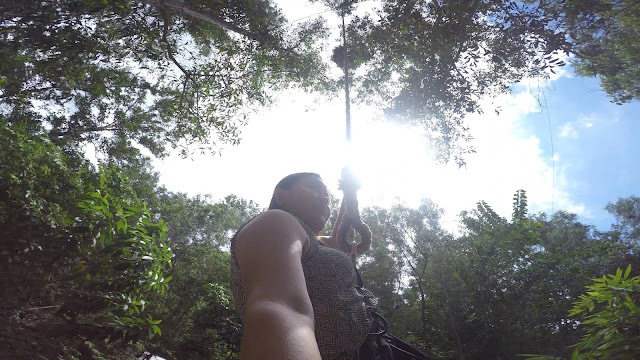 We frolicked as butterflies flew all over us; swung like Tarzan; and explored a forest. 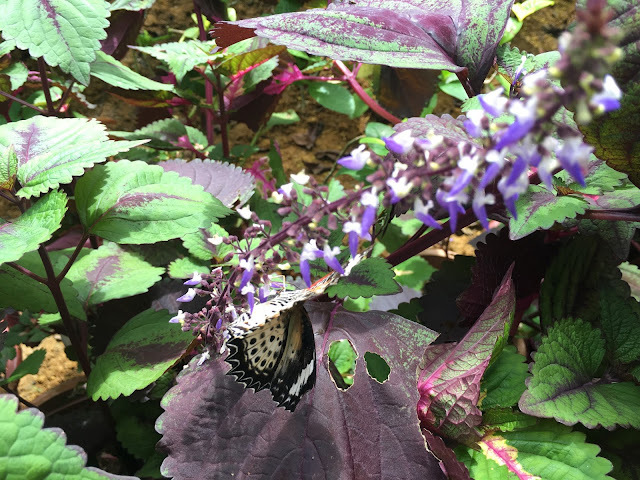 Our first stop was Entopia by Penang Butterfly Farm, home to more than 15,000 butterflies, plus different species of insects, invertebrates, small reptiles and plants. 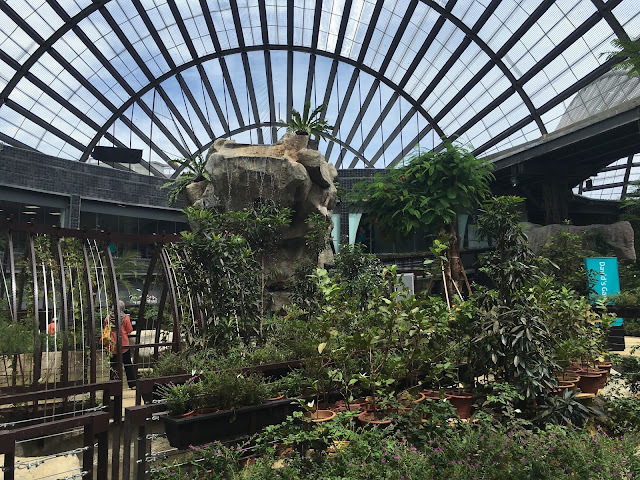 It features waterfalls, ponds and other surreal garden features. This multi-storey tropical sanctuary consists of the Natureland and The Cocoon. 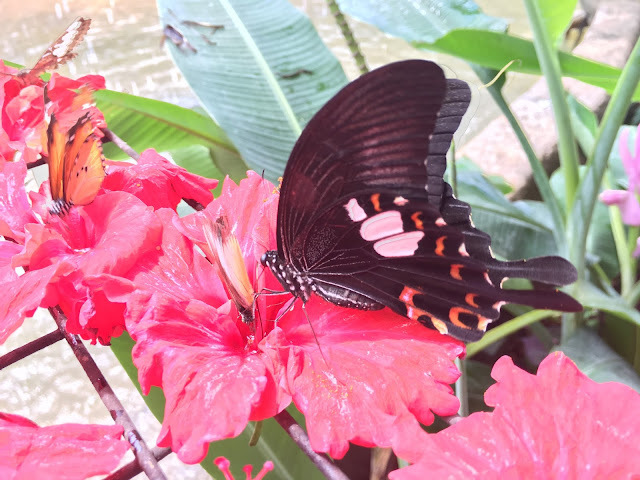 The Natureland is a shared ecological space for the said species. The Cocoon is an indoor discovery centre, which features exhibitions and other indoor activities. Next door to Entopia is Escape, an outdoor theme park, which is my kind of playground. 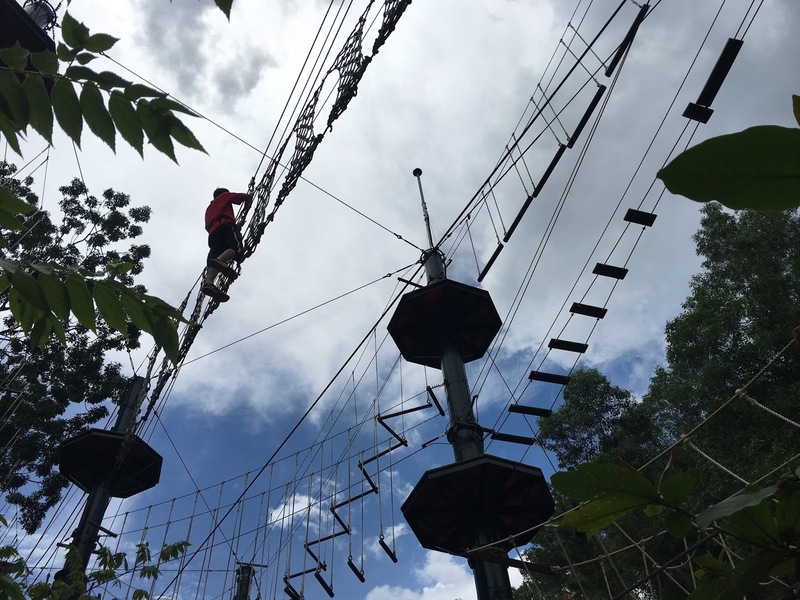 There’s ziplining, bungee jumping, tree-swing, slacklining, and other fun, adrenaline-pumping activities. 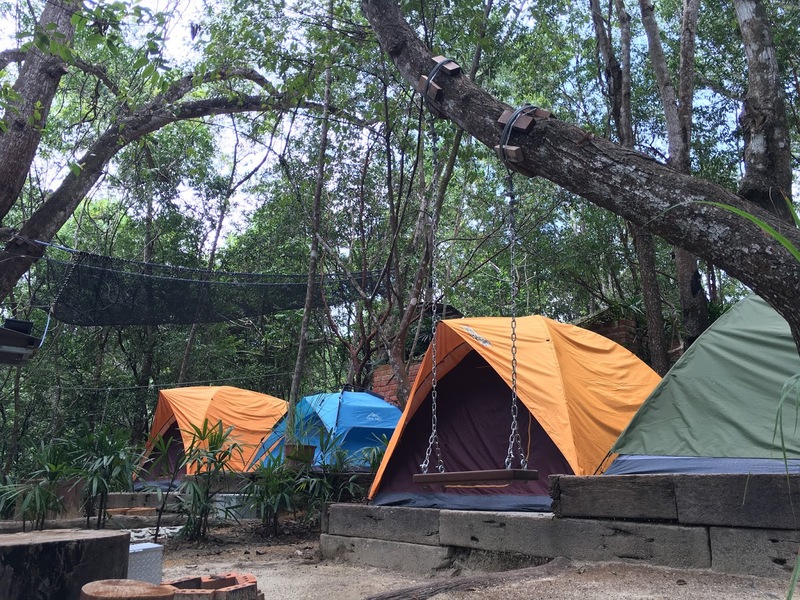 The park also has tents for rent, for those who want to complete the outdoor experience. 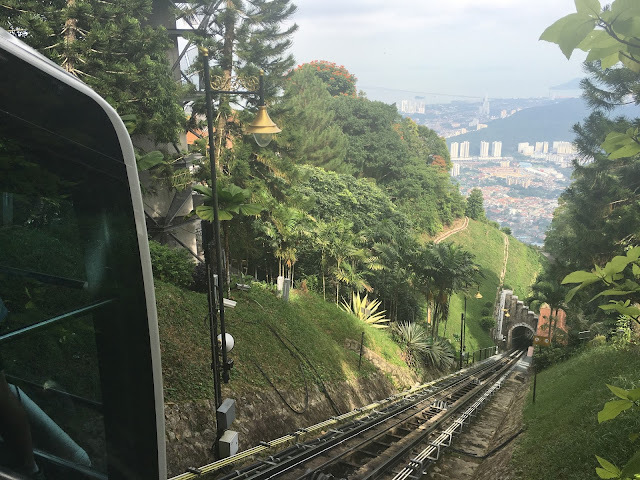 The rest of the day was spent in Penang Hill, a hill resort comprising a group of peaks, with its highest point at 833 meters above sea level. It’s 6 kilometers away from George Town. We reached the peak via the Penang Hill Railway, a funicular railway. The ride was among my most picturesque rides ever. The scenic ride up was even capped with a magnificent panoramic view of Georgetown. 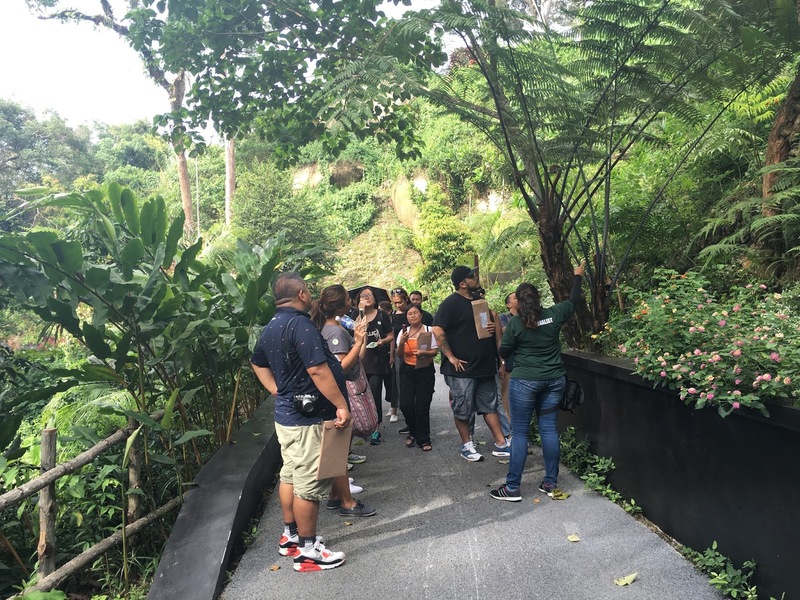 The highlight of our Penang Hill visit was the exploration of its nature reserve, Habitat. Our guide was Shakira, who has an infectious love for nature. She thought us how to guess the age of trees; the local names of their flowers; and let us enjoy the giant swings. I am so looking forward to returning when their canopy walks are completed. Of course, we cannot be in Penang and not explore its colorful and multi-cultural capital, George Town, a UNESCO World Heritage Site. We walked Jalan Masjid Kapitan Keling, otherwise known as the ‘Street of Harmony’, which draws together the town’s four main religions. 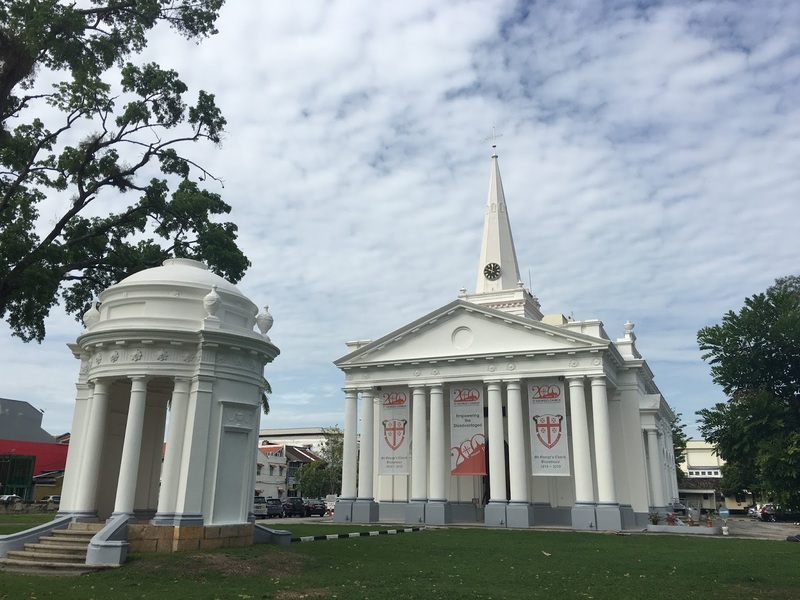 We started at the St. George’s Church, the first Anglican Church in Southeast Asia. 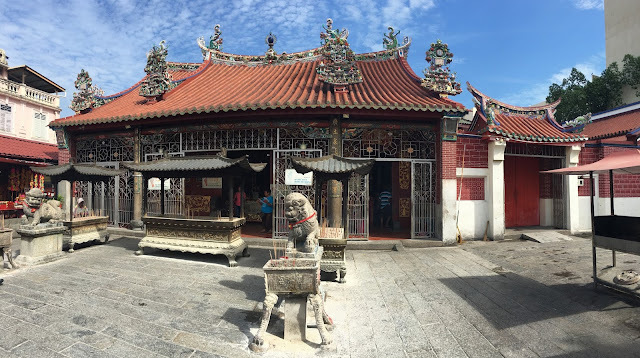 Then, we walked to Goddess of Mercy Temple, the spiritual center of the Chinese community. 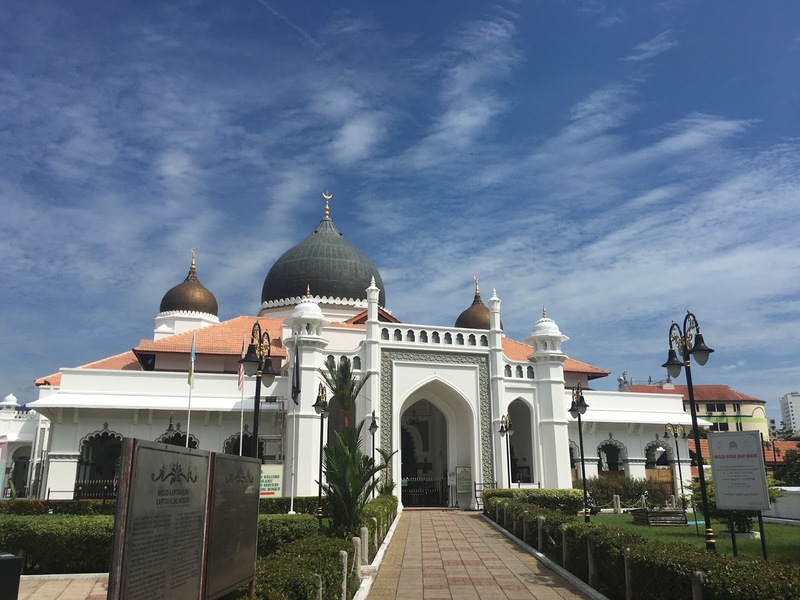 We continued to walk to Kapitan Keling Mosque. We saw two clan houses after. 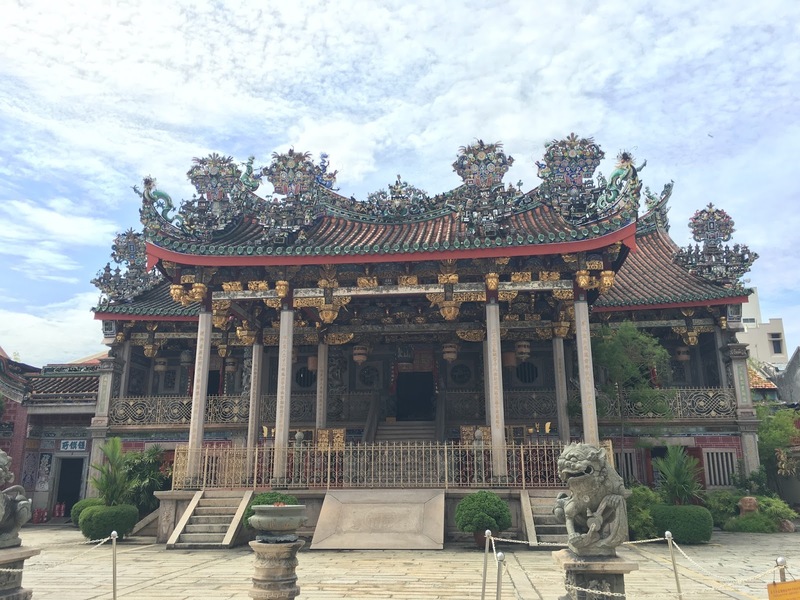 The more elaborate and grander is the The Khoo Kongsi, which is part of the location of of the movie Anna and the King. Our hunt for Penang’s popular street arts followed. I was not that successful though because of time constraints and because of the shops. 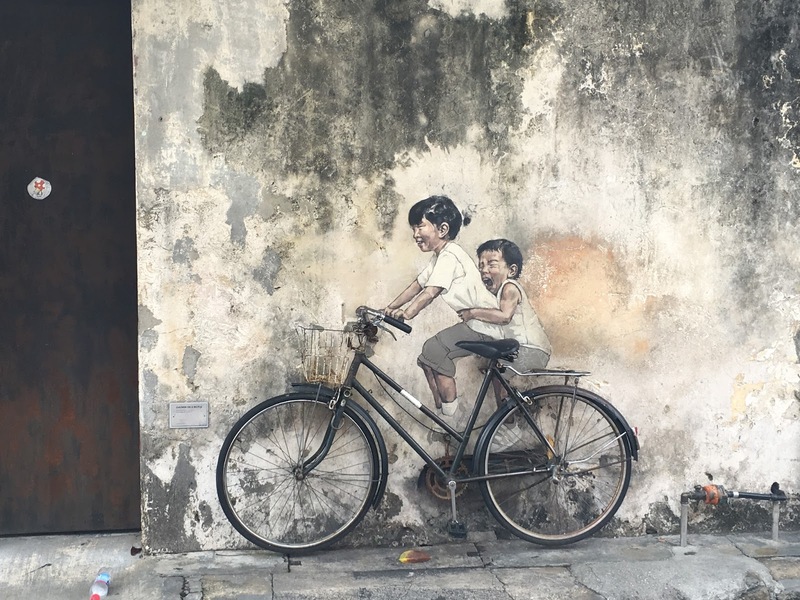 Got to see though the most popular, “Little Children on a Bicycle,” painted by London-trained artist Ernest Zacharevic, in conjunction with the 2012 George Town Festival. The next site we visited was the Penang Peranakan Mansion, which gave us a glimpse of Peranakan culture. The museum tells of the opulent lifestyle of rich Penalakan families in the 19th century. 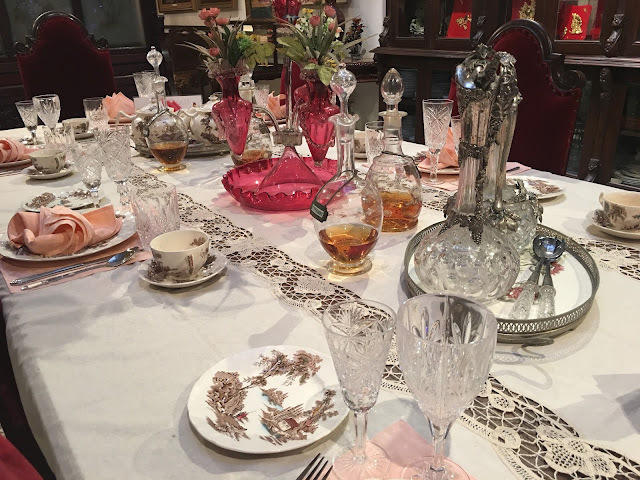 Everything here is exquisite and fine. 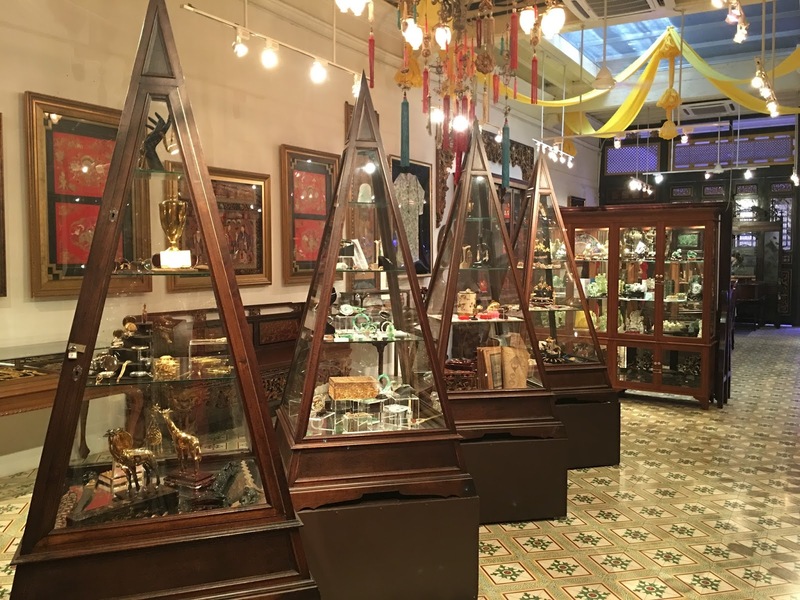 They also have a jewelry and textile museum inside. Our last stop, before we went shopping, was the Chew Jetties Floating Villages, a village on stilts established mid 19th century. 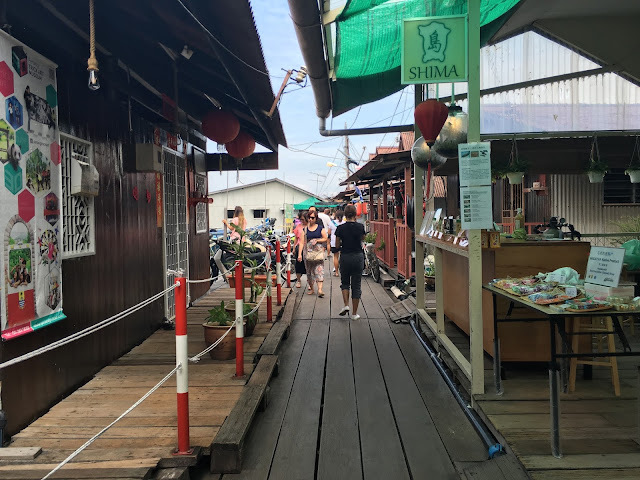 It also houses souvenir shops and restaurants. 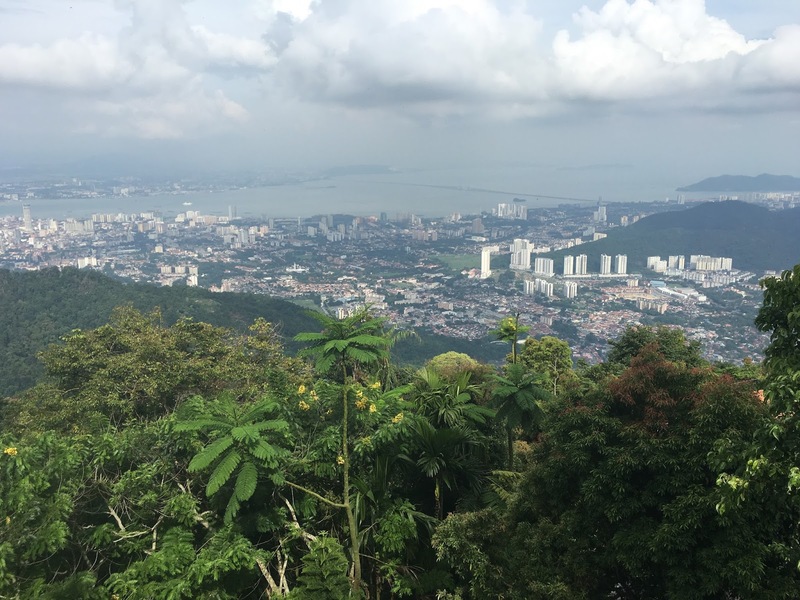 Philippines AirAsia offers fly-thru services to Penang via Kuala Lumpur. It's hassle-free. Guests only book one ticket and baggages are collected at the final destination. Log on to www.airasia.com for more information. 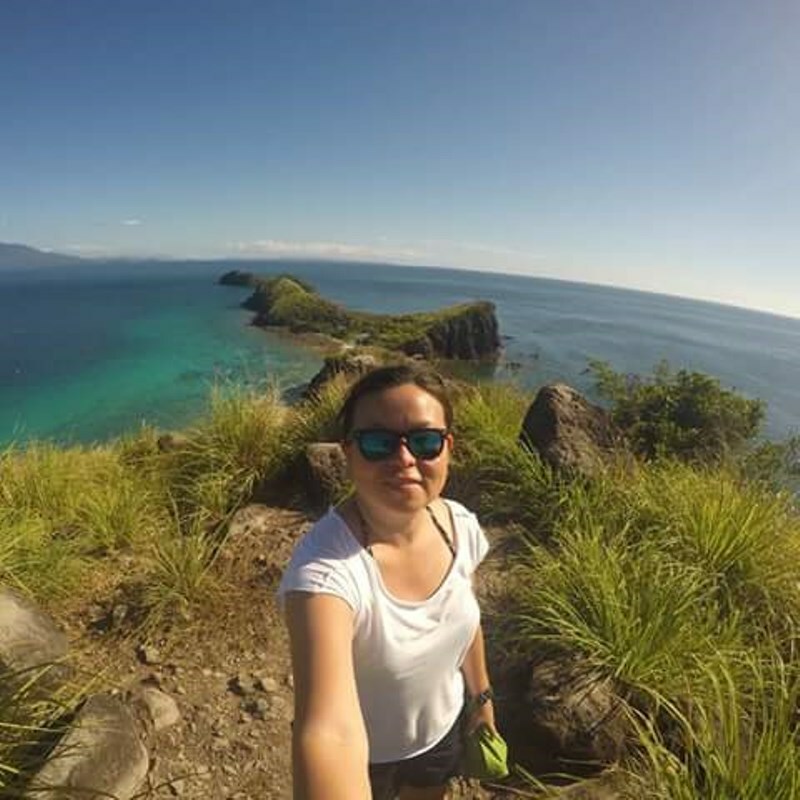 Terima Kasih, Philippines AirAsia, Penang Tourism and Sunway Hotel!